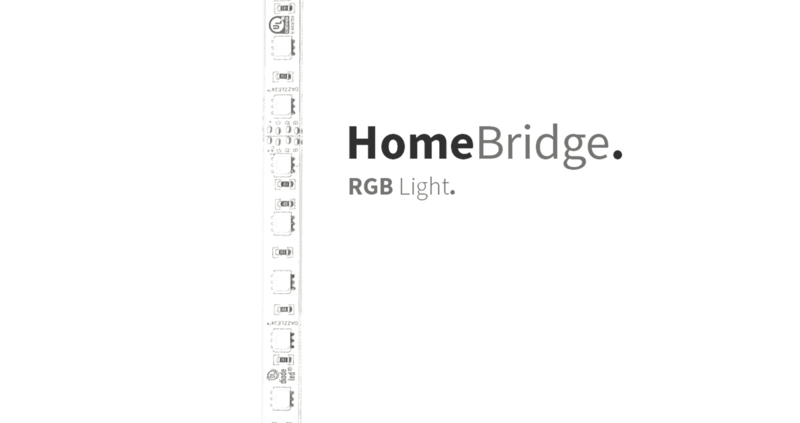 Well after my last successes to make a accessory for my HomeBridge, I want to see if I can make a controllable RGB Light accessory. 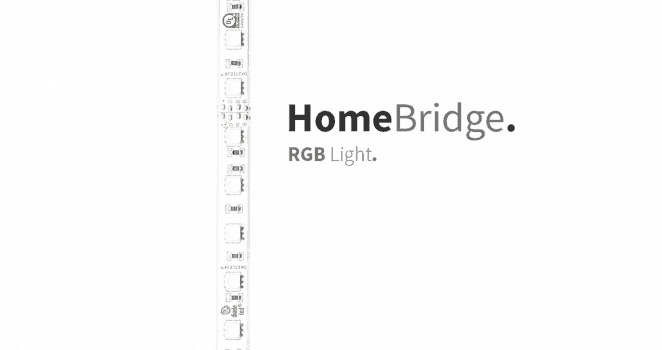 First, you must install HomeBridge on a Raspberry Pi, and configure it as a HomeKit bridge device.How to do that, you can read here. 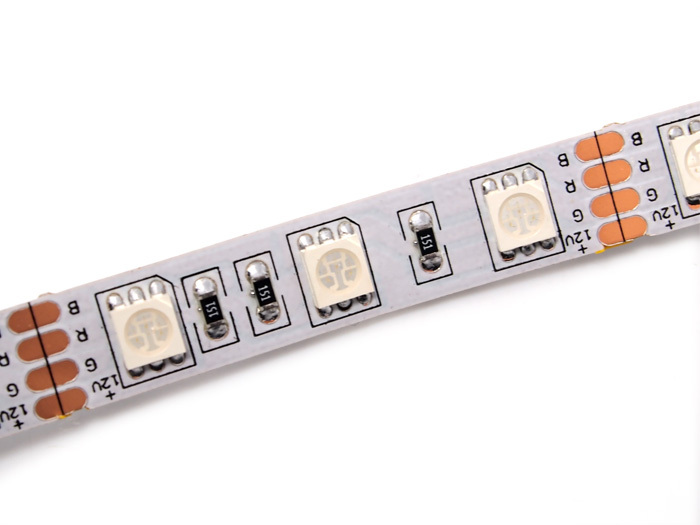 Then I need a RGB Light, so I found this one, a RGB LED strip . Edit the HomeBridge /var/homebridge/config.json file on the Raspberry Pi HomeBridge. the file may alternatively be in /home/.homebridge or /root/home/./homebridge. Add this code to the config.json file. Mind the last comma, you may or may not need it if you have other accessories, or Homebridge is crashing on load. Once you have HomeKit / HomeBridge working on your Pi and your iPhone, we can build a Temperature & Humidity sensor that can be read by Siri and the HomeKit app. 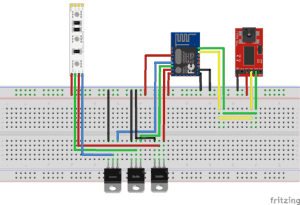 At first we need to setup the FTDI programmer to program the ESP8266-E12 with the Arduino IDE. 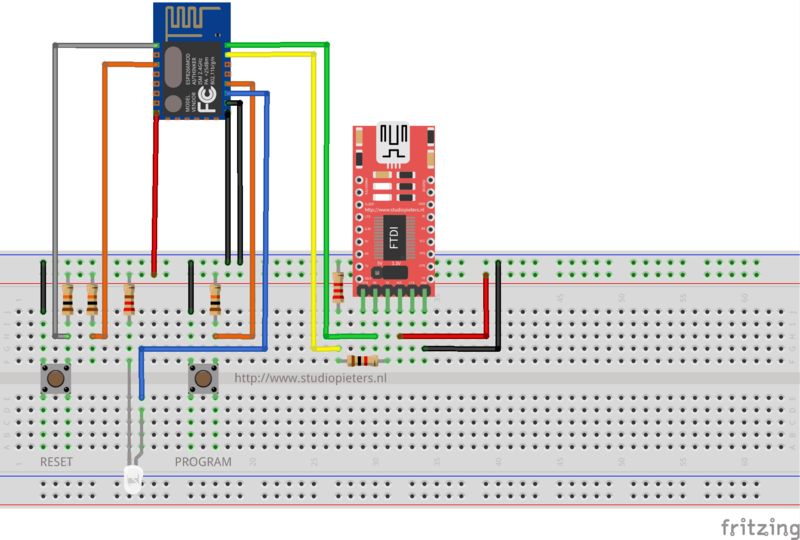 The we can upload the program below to your ESP8266. Now we can modify our setup so we can see if everything is working. In the fritting digram below you can see that now I have added a LED Strip plus three TIP122 (The TIP120 is an NPN Power Darlington Transistor. It can be used with an Arduino to drive motors, turn lights on, and drive other high power gadgets.) and keeping the RX and TX connected so we can see in the monitor from the Arduino IDE if everything is working as we want to. Now we have to connect our iPhone to the home bridge and add the new accesoires. Download all Files for this project on github.